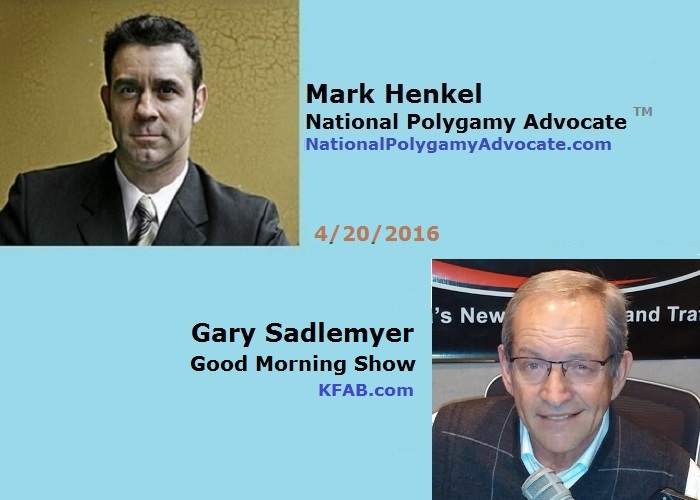 On Wednesday, April 20, 2016, I was interviewed as a guest with locally-renouned host, Gary Sadlemyer, on The Good Morning Show, on KFAB in Omaha, Nebraska, that aired at 8:20am local time (9:20am ET). 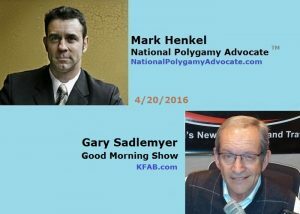 The purpose of this interview was for the breaking news cycle about polygamy from Monday, April 11, 2016: the 10th Circuit Reversed “Sister Wives” case as “moot.” Rather than even hear the merits of the case, the 10th Circuit Court determined that, since the Prosecutor had promised not to specifically prosecute the Brown Family, the Brown family’s legal “standing” to file suit was rendered moot. This was another excellent interview that has became another new tool for UCAP (unrelated consenting adult polygamy) supporters to share when discussing the issues with others.